Thanks to the ACADEMIA team, but especially to Alessandro, Marjorie and the whole MVP CEE team! 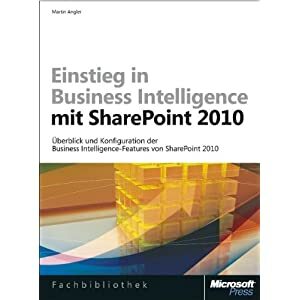 it is a great great pleasure & honour to announce that today I have been awarded with the Microsoft Most Valuable Professional Award as of July 2011, in the field of SharePoint Server 2010! This means I am the first SharePoint MVP in South Tyrol and one of only a hand full in Italy! It is awarded by Microsoft for outstanding commitment and contributions in technical communities and it is an appreciation for the voluntary work of contributing to the community. I am really enjoying having received this award and I’m looking forward to be contributing even more to the Microsoft SharePoint, and even more: to join the network of the MVPs worldwide. Currently, there are 4,000+ MVPs in 90 countries worldwide, and about 180 German-speaking MVPs, among which I am (plus Italian & English 😉 ). It is a great motivation to carry on like this, and I’m looking forward to contribute many more times! Thanks to the community, and thanks to Microsoft! Now I’m looking forward to 2 weeks of holidays in Calabria, Italy and will check back with all of you on July, 18th. Microsoft these days announced that it is going to close its newsgroups and move the contents to its forums. It will start with the lowest-volume newsgroups, beginning in June 2010. Personally, I am not very much surprised about this step: Some months ago I subscribed to several MS newsgroups – but many of them had quite a low daily message volume. Regarding similar topics, I was able to find a lot more up-to-date information using the respective MS forums. Responsiveness was also way higher there. However, since especially for MVPs-to-be the newsgroups have been essential pillars ever since, I am wondering whether these awards can now be (partially) obtained by actively participating in forums. The information, however, isn’t lost – it’s only moved to the forums. It won’t affect me a lot, since for support during the last months I have turned to the forums anyway – mostly due to the lacking responsiveness, spammers and the diminishing contributions. All in all my personal conclusion is: Good move, MS! Once in a while it is necessary to get rid of legacies, especially when they turn it to be no more feasible.